Torque Solution Brake Caliper Adapter - Dezod Motorsports Inc - Home of the automotive performance enthusiast since 2002. 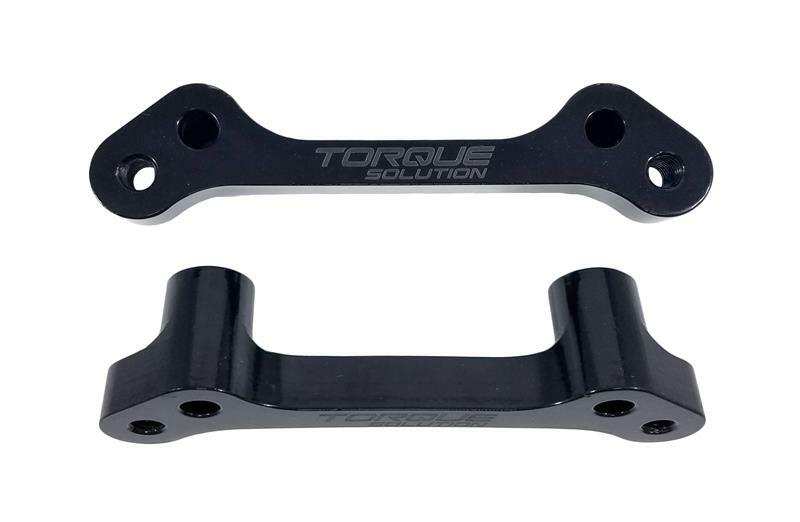 Torque Solution Rear Brake Caliper Adapter allows you to mount 2004-2007 Subaru / FHI or STI Brembo 2-piston rear calipers to late model Subaru’s. Must use with either 2008+ STI rotors drilled to 5×100 or DBA 4000 Series Part # 42656S-10 (x2). The 2015+ WRX does not require drilled OEM 2008+ STI rotors, as they utilize the same bolt pattern 5×114.3.